Four teenage girls who call themselves ‘The Lionesses’ have been arrested on suspicion of having close links to Islamic State (ISIS) jihadists in war-torn Iraq and Syria. The girls, who are aged between 14 and 18 had been communicating with ISIS terrorists via the ultra-secure messaging app Telegram. 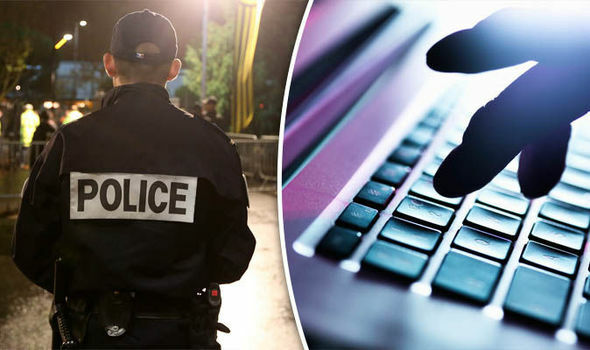 They are also believed to have “discussed the possibility” of launching bloody attacks on French soil in a private chatroom”, an intelligence source said. At least one of the teenage girls was in contact with ISIS recruiter and propagandist-in-chief Rachid Kassim, the French television channel France 3 reports. The French-born jihadist – who was reportedly killed in a US-led airstrike on February 8 – is suspected of having orchestrated more than 15 terrorist attacks on French soil, including the brutal murder of Jacques Hamel, an 85-year-old priest, in July last year. Suspects in terror-related cases can be held in French custody for up to 96 hours without being formally charged. French internal intelligence officials said they would be using these 96 hours to figure out whether the teenage girls – who are all considered “high-risk” – had planned to flee to ISIS-controlled territory, or whether they had been planning an imminent attack on home soil.